In episode 33, Brando is joined by Joe Rock, the morning radio host of 106.7 The Eagle - San Antonio's Only Classic Rock. 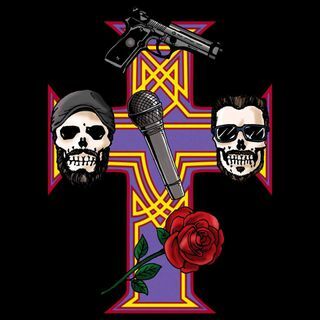 Joe and Brando have worked together in radio before and with plenty of off-air heated Guns N' Roses discussions, it's time to air it out! Joe first saw GnR in 1989 when they opened for the Rolling Stones and did not again until this current tour (twice). As a musician with his own band, what does Joe feel about GnR in 2017? Axl's vocals in particular. ... Más informaciones Also having seen over 130 Bruce Springsteen shows, how does Joe compare Bruce to Axl? That and so much more!! Please follow The AFD Show and leave a review on Soundcloud, iHeartRadio, Spreaker, & iTunes!